Brown Sugar Mix Strips made exclusively by Quilter's Store Sedona. 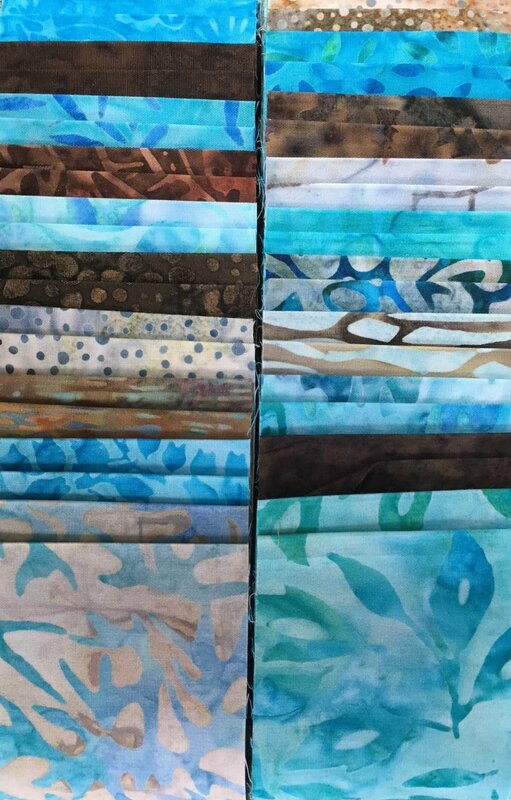 A package (40) 2 1/2" strips in beautiful brown and blue batiks. Twenty different fabrics, 2 strips of each fabric. Fabrics may vary due to availability.